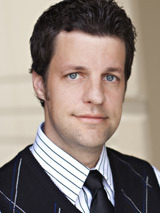 Jeremy Kingsley is a best-selling author, leadership expert and one of the most sought after speakers in the country. Since 1996 he has spoken to over 500,000 people at live events and given over 2000 keynote speeches. You may have seen Jeremy on television or online. He has been featured in/on CNBC, CBS, FOX, FOX BUSINESS, FORBES, INTERNATIONAL BUSINESS TIMES, WALL STREET BUSINESS and many more large media outlets. He has endorsements from Fortune 500 companies like YUM and Whirlpool. Leadership expert Ken Blanchard has said, “Jeremy Kingsley drives home principles that all leaders need to know and apply.” His messages have reached millions through radio, television and the internet. He is a master storyteller and connects with audiences through the perfect blend of humor, content, inspiration and relevant principles to help each individual. He believes that inspired people produce results and that people can change, grow and fulfill their personal and professional goals. His early years were spent in the frigid winters of Wisconsin and his teen years in the politically charged environment of Washington, DC. In both places Jeremy learned a lot about character, integrity and passion. After playing three years on the varsity basketball team in high school, he scored over 1000 points and was named Conference Most Valuable Player his senior year. Jeremy has the heart of an athlete and understands the importance of commitment, determination and purpose. He then went on to college and graduate-school, Jeremy holds bachelors and masters degrees from Columbia International University. Storytelling – Change a business, Change a life. People don’t often succeed in business or life when their relationships are simply shallow digital connections. People want to experience something meaningful, inspiring, emotional, funny, and that won’t easily be forgotten. A powerful story can bring that special connection. A simple anecdote can change a persons mind, their purpose, an attitude, their perception, even their life. Storytelling is a skill that can be taught and developed. Whether you need help in sales, customer service, or with your co-workers, the ability to tell a good story at the right time, in the right way, can be learned and utilized for maximum success. 1. Six types of stories (historical, humorous, emotional, intellectual, personal, inspirational). 2. Why stories are natural connection points. 3. How to choose the right stories for a given context (sales, customer service, team building). 4. Methods of storytelling. Maybe the most important takeaway, the “how” to tell a great story. Jeremy Kingsley is a Master Storyteller who have given over 2000 keynotes speeches and spoken to over 500,000 people at live events. He has captivated audiences around the world for over 20 years with these life changing principles. More than an "academic" exercise, you will learn from one of the best, someone who has truly lived and breathed these principles throughout his career. Book Jeremy Kingsley now! Success is NOT usually found at the end of an easy, well-paved road. Many people, teams, and organizations look for shortcuts, abandon ethics, and sacrifice success for a quick unrewarding finish. There is something that successful people and companies have in common – they understand the value of core Principles. You will learn about THE SIGNIFICANT SEVEN: Loyalty (Strong allegiances), Passion (Excitement, Love, and Commitment to people and work), Integrity (Honesty, Ethics, Credibility), Patience (Understanding people, situations, and expectations), Communication (Clarity is key), Humility (Team is more important than personal ego), and Going the extra mile (Doing more than expected). With Jeremy’s unique ability as a master storyteller, these principles will not be forgotten and the audience will leave this speech entertained, inspired, challenged, and equipped to find success in their personal and professional lives. The key to Human Capital is Relational Equity. No Employees + No customers = No business! As companies grow, it can often become difficult for individuals to stay connected. People in every type of business need to understand the importance of building strong and meaningful relationships. Employees in every position from top to bottom should know, understand, and feel how valuable they are to the team. Customers must know how much they are appreciated. Part of the organizational culture must be community, this happens when you make it a point to invest in the professional relationships you have. How? Intentional Engagement. When you build Relational Equity, you build Success. "If You Don't, It Won't!" Most people don’t leave their job because of the work; they leave because of how they are treated by their bosses and co-workers. Too many lives are being wasted. Too many companies are not reaching maximum potential. Through unforgettable stories and time-tested values, Jeremy Kingsley calls us to find the true meaning and benefits of serving each other. Replacing sarcasm with encouragement, replacing gossip with support, replacing grudges with forgiveness. You will be inspired and challenged to live with compassion, understanding, and to treat people in a way that will change you and the people around you. It all starts with you, and remember if you don’t – it won’t. Why are so many leaders failing and falling? Where have all the great leaders gone? What were the secrets that magnificent leaders of the past knew? These are questions Jeremy Kingsley will help you answer through this powerful presentation by using the acronym SCORE – Sacrifice, Character, Opportunity, Respect, Excellence. Through compelling historical stories and inspiring truth, you will be challenged to view your position and your life with a new perspective. This presentation will not only make a difference in your life but also in the lives of all those you have the privilege to touch. Inspired People Produce Results is a fast-paced collection of “how to” success principles for business and community leaders based on a single, vital premise: your success as a leader hinges on your ability to inspire. You will be energized and empowered. Jeremy highlights essential principles such as patience, loyalty, personal attention, integrity, and offers specific advice on how to inspire a team of employees from any generation. “Passion and Purpose” Passion – Passion drives us. Passion is important because it intensifies focus, enables innovation and creativity, motivates us to pursue excellence, energizes colleagues, helps us deal with fear, and keeps us contributing even when we’re not at our best. Purpose – Your ability to establish a clear purpose for yourself and others each day will make the difference between colleagues who are hanging on until the weekend and employees who can’t wait for Monday morning. If you can discover and communicate the greater meaning behind the work of your team, you’ll be on the path to enhanced production. Hobbies are great. Whether it’s golf or camping or running or painting, we all love our recreational activities. But the thing about hobbies is that they’re seasonal. Temporary. Occasional. In leadership, you can’t be any of those things. Leadership is 24/7 and 365. Sound principles like encouragement, strategy, and self-improvement are the things top leaders employ with consistency. Winning at a hobby is nice. Winning in leadership is a must. DRIVE POSITIVE BUSINESS RESULTS WITH THE POWER OF INSPIRATION The world of business is faster paced than it has ever been. Budgets are being slashed, competition is fierce, and the finance people are scrutinizing profitability and pointing fingers like never before. Pressure for results has never been greater. What is the key to leadership in this high-stakes game? In a word, INSPIRATION. Your employees are your number-one asset, and the quality of your relationship with them will spell the difference between success and failure. Written by leadership expert Jeremy Kingsley, Inspired People Produce Results reveals the secrets to leading in these times of great change. Kingsley explains the essential principles and skills for effective leadership in the twenty-first century: passion, purpose, loyalty, humility, patience, integrity, strong communication skills, establishing a safe working environment, and a commitment to giving personal attention to each team member. Inspiring your people is the key to unlocking your staff's potential. It's the ingredient that enables you to lead your team to unprecedented success. Your ability to inspire makes you more than a manager, it makes you a leader. Inspired People Produce Results helps you unlock incredible growth. Learn how to inspire people by: FOCUSING on the passion that people need to succeed EXAMINING the purpose and mindsets of great leaders DISCOVERING the principles that can change the culture of a company Fast-paced and enjoyable to read, this game-changing leadership guide focuses on a single, vital premise: your success as a leader hinges on your ability to inspire. Inspired People Produce Results provides the tools, the skills, and the inspiration you need to lead your people and your organization to greatness. This uplifting book meets people when they are down, helping them to transform their lives. In each chapter the author explores a response to a crisis and shows how working through crises can lead to strength, peace, forgiveness, and hope. Kingsley offers snapshots of different people and their responses to difficult situations, including his own tough times and how he has overcome. This faithbased book will appeal to a wide range of readers, both Christians and non Christians. Being a Christian is a radical commitment for each of us. It requires us to be different from what culture tells us to be, to understand Christ's revolutionary ministry. This book will help people see that Jesus calls us to a revolutionary way of life—a life that's counter cultural to our “me-centered” culture. We are called to put Jesus first, others second, and ourselves last.